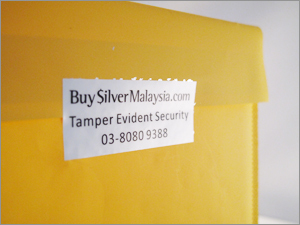 BuySilverMalaysia have put in place 7 Star Security Excellence to guarantee products we sold are 100% authentic. 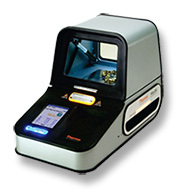 XRF is short for X-ray fluorescence, and is used not only in detecting precious metals but all sorts of metal alloys, mining samples and environment. Click here to read more on our X-ray machine. An ultrasonic thickness gauge (UTG) is designed to measure how long it takes for sound to travel through a metal object, in our case gold and silver bullion. If the bullion is pure gold or silver, it will give an accurate reading, if it is a mix of metals, the reading will be off. For different metals, different readouts of thickness will be obtained. The speed of sound for silver is 3650 meters/second at room temperature. Gold is 3240 meters/s. One of the Silver & Gold purity test that we conduct on our products is using state-of-the-art UltraSonic Thickness gauge. This test will be able to identify the inner content of the bullion bars. Any foreign content inside the Silver or Gold bar can be easily identified. In ultrasonic testing (UT), very short ultrasonic pulse-waves with center frequencies ranging from 0.1-15 MHz and occasionally up to 50 MHz are launched into materials to detect internal flaws or to characterize materials. It is a form of non-destructive testing used in many industries including aerospace, automotive and other transportation sectors. LEFT: A probe sends a sound wave into a test material. There are two indications, one from the initial pulse of the probe, and the second due to the back wall echo. RIGHT: A defect creates a third indication and simultaneously reduces the amplitude of the back wall indication. We could offer the authentication service to our BSM customers who would like to attest their Gold & Silver products that they bought elsewhere with a minimal fees incur. To enhance the security of the Silver & Gold Bullions, we have introduced BuySilverMalaysia's High Security Hologram with Serial Number. This state-of-the-art hologram confirms the quality and provides assurance to bullion owners. Silver & Gold Bullion Bars are required to complete various vigorous authenticity tests before earning the honour of this BuySilverMalaysia High Security Hologram seal of approval. 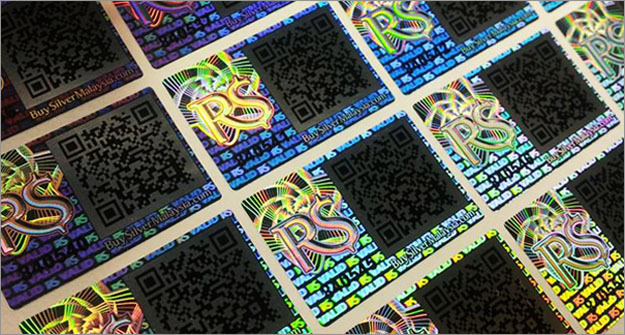 Dot Matrix is High Security Hologram technology, it has multiple secured layers of hologram forming the design. We use "money line" diagram to increase the difficulty of imitating the hologram. Every label carries a unique serial number and special anti-counterfeiting features. Providing the best in class product authenticity guarantee only at BuySilverMalaysia. Anti Tampering Security Seal. Fragile Destructible Vinyl paper that will break into pieces or Security hidden pattern reveals, when removal is attempted. Design to secure closures of packaging. This enhanced security on our parcel shipments and reduces risk of unauthorized person opening them during transit. Further securing your valuable purchase from BuySilverMalaysia. We source our bullions as close as possible to the source, namely Scottsdale Mint, A-MARK (Distributor for American Eagles and Canadian Maples for the Mints) and Perth Mint. Besides getting a competitive bottom line, we are able to identify the trail right from the source (minting facility). This is to avoid the middle-men-transaction and thus reduces counterfeit risks. 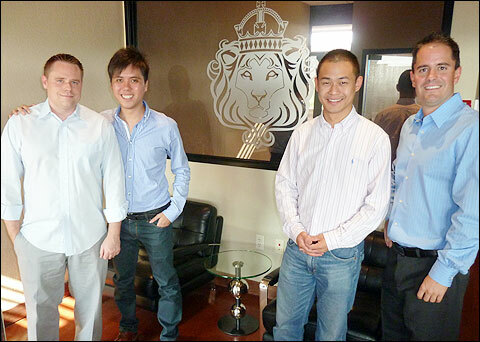 Photograph of us visiting Scottsdale Silver head office in Scottsdale, Arizona (Aug 2012). 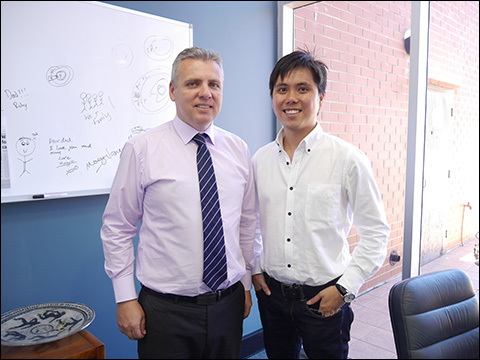 Photograph of us visiting Perth Mint head office in Perth, Western Australia (Oct 2014). We have such a high confidence in our products sold that we have a "7 days Exchange Policy". If you have any qualms on the products that you received, we will exchange one-on-one. If you have further questions on the Silver & Gold authenticity and certification, please forward us the enquiry to us at admin@BuySilverMalaysia.com.